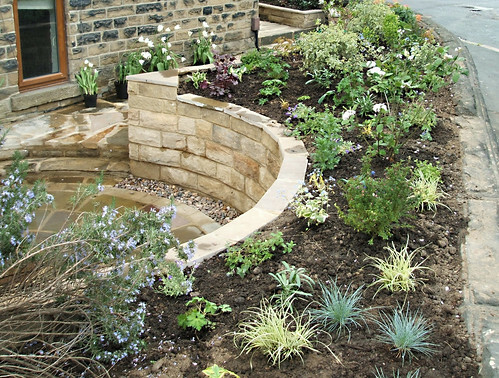 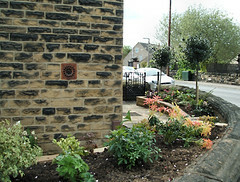 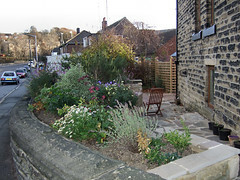 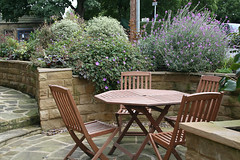 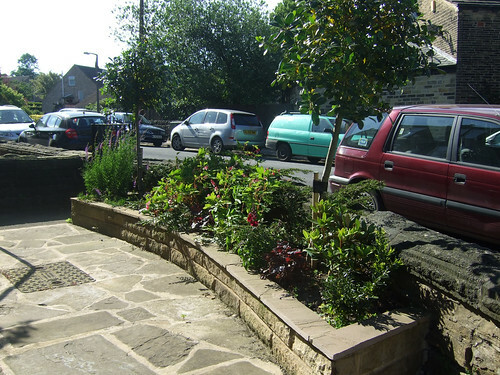 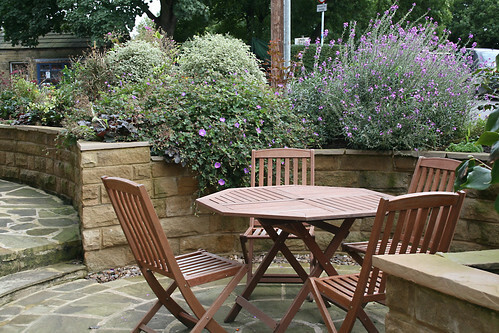 The tiny space around this stone end terrace has been made into three distinct gardens. 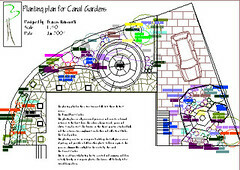 A formal entrance garden, The canal gardens overlooking the canal where the planting echoes the colours of the sunlight on the water and a tiny private space with summer house that is carved out of the end of the drive!! 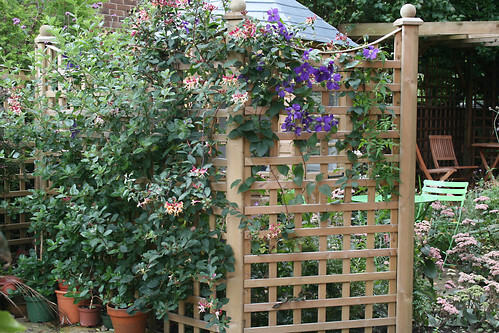 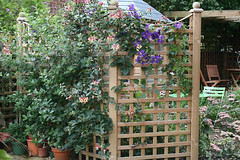 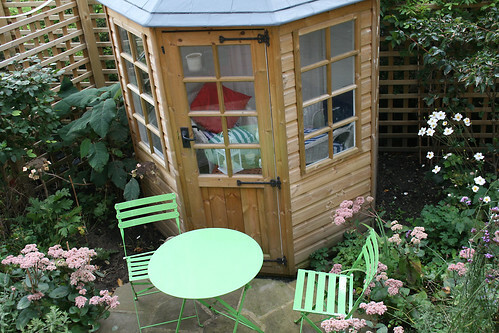 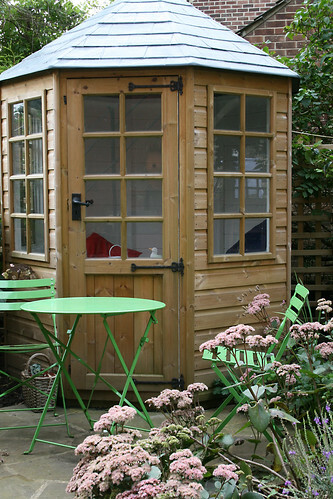 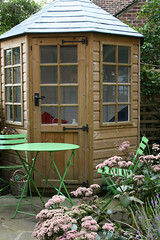 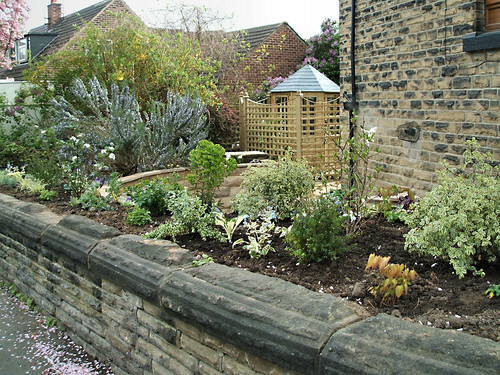 "For years I had put up with my small and uninspiring corner plot and finally I contacted Frances to see what she could do with it. 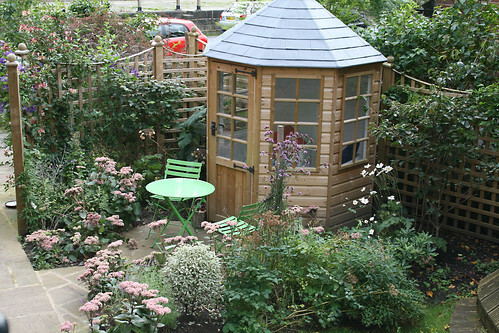 What she achieved exceeded all expectations and I now have a delightful garden with patio, summer house and imaginative planting. 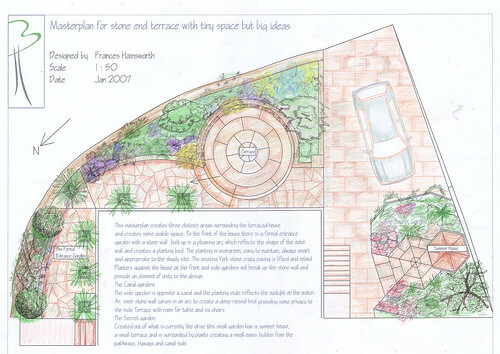 Frances project managed the entire process so it was really easy, but her great skill lies in planning plants to create distinctive colour schemes. 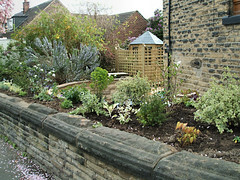 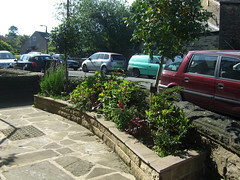 My garden is now greatly admired by my neighbours and passers-by."